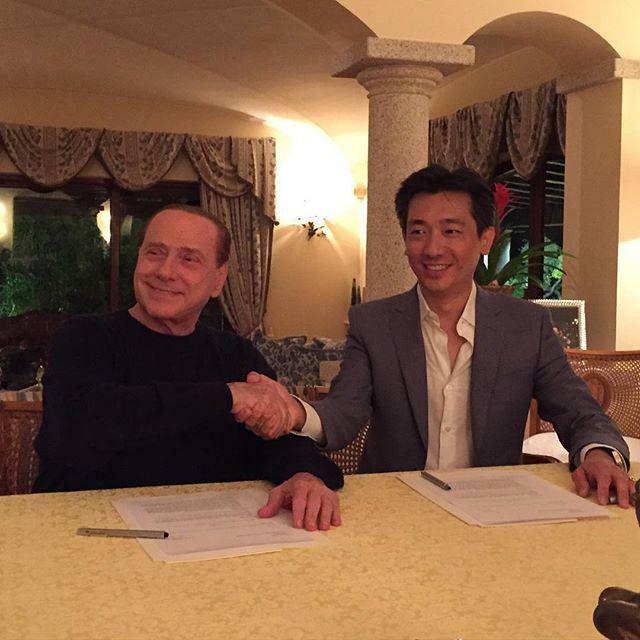 On the evening of the 06 May, 2016, Silvio Berlusconi released a Facebook video in which he spoke on the unending rumours of Milan’s sale, his decision to sack Mihajlovic and appoint Brocchi, and his ‘preference’ to find an Italian owner for to take over from him. This is one fan’s exasperated response to the Rossoneri President. You, sir, are out of touch with the way the world works now, and are destroying the very thing you claim to love most. I don’t speak Italian, but I’ll make my voice heard anyway. I’m going off the translation of your speech the press provided. No, I’ll not agree with you. We remember Milan under Inzaghi, and the final few months of Allegri’s tenure when his decimated team couldn’t string two passes together. We’ve played plenty worse the past few years than we have done under Mihajlovic this season – including under your darling boy Brocchi – who presumably only got the job because he is willing to do whatever you want him to do. That decision was perhaps the most cowardly you have taken as President of Milan, and had nothing to do with courage. Courage is realising you disagree with someone and probably don’t like them that all well, but don’t sack them six games from the end of the season because you genuinely know it’s bad for the side. 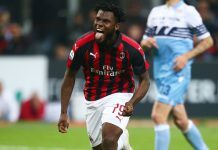 Milan for the past three years has been a team of journeymen with little to no heart when out on the pitch, yet Mihajlovic fixed that, lighting some fire under this boys. On their day, they could match anyone in Serie A heart for heart. The entire squad respected him, and if nothing he deserved to make his case in the Cup final he qualified your woefully inadequate squad for. That decision has nothing to do with courage. If you really wanted hope for the final, Mihajlovic’s final game provided plenty. 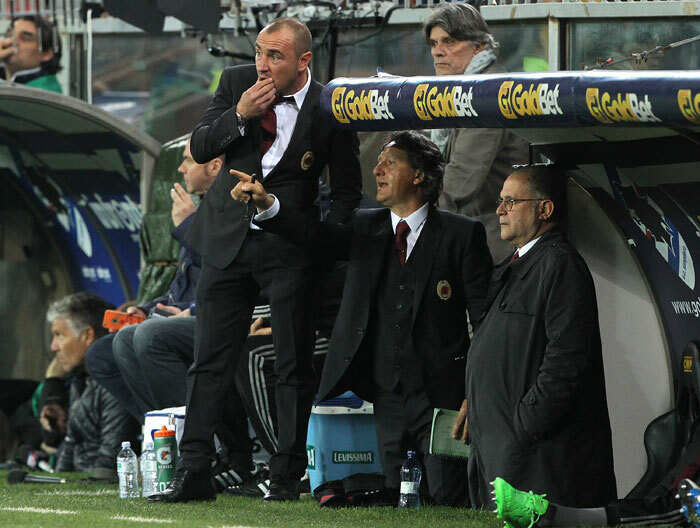 Now with Brocchi, and what he has shown us so far, everyone is just hoping we can keep the scoreline down to at least 3-0. You have made things worse, and left us with no hope for the final. I don’t know what you’re smoking sir, but I would humbly request a whiff of that, since it seems that is the only thing that would make me survive the sh*tstorm ahead of Milan with such a myopic and deluded President. 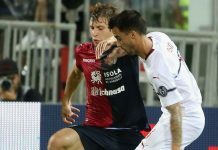 You only see improvements because Brocchi is your yes-man who does everything you ask, therefore you are willing to see what isn’t there to justify your patently ridiculous choice to put him in charge of the team, despite ample evidence from the reigns of Seedorf and Inzaghi that simply putting a youth team coach in charge is not much of a solution if the squad remains as poor as it has been. If you have seen any improvements in the games played against Carpi, Hellas and Frosinone, then I suggest you get your eyesight checked. He hasn’t had much time because you made the brilliant decision to replace your coach with six games to the end of the season, so you can’t expect us to pardon you for your own gigantic mistake? Didn’t you take that into consideration before making the decision? As for unlucky, that is a staple of football, and Mihajlovic dealt with his fair share. Do you remember when his team outplayed Bologna at San Siro, but lost because none of the forwards seemed interested in scoring on that day? Or the two times we drew games with Bertolacci hitting the bar in stoppage time? Football is a results business, and I don’t remember you making similar excuses for Mihajlovic. 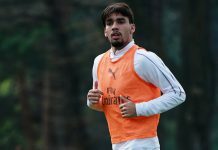 This is just a matter of you making excuses for the man you put in a position to fail – perhaps forever scarring his career, as you did to Seedorf and Inzaghi. A dry spell tackled with a clear plan would be stomached, but over the past three years you and your stooge Galliani have made it quite clear that you have no plan. Every season since Allegri’s final year was dubbed Year Zero, but with no specific plan we went back to year zero the year after. The incredibly short sighted decision of going for free agents have left you with one of the league’s biggest wage bills, yet one of the poorer squads in terms of the top teams. The team at a point claimed to have a policy of not granting over one year contracts to players over 30, but whilst Pirlo did not get that discount, Zaccardo got a four year deal a few years later. 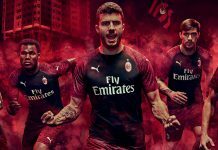 Alongside Galliani, you have systematically decimated Milan over the past five years, leaving only the dregs that you then expect to play as champions. 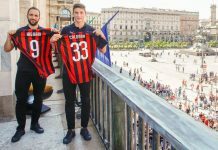 Montolivo is not a worthy captain, but for some reason he is held in high regard, and is also apparently closing in on a three year extension despite being over 30. 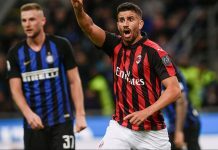 Yes, you spent a huge sum last summer, but Galliani wasted a chunk of it on Bertolacci, whilst the good striker you managed to land was rendered practically useless because no one thought it fit to fix the issue of lack of creativity in the team. So the simple fact that you spent money last summer does not guarantee everything is fixed. The big clubs spend insane amounts every summer to remain competitive, and the fact that you believe just one summer’s worth of spending is enough to get you back to the top says it all about how out of touch with the modern game both yourself and Mr. Galliani have become. And if you wanted improvement for your money, Mr. Mihajlovic had provided it, despite not giving you the ‘champagne football’ you are so desperate for but aren’t willing to spend to gain. 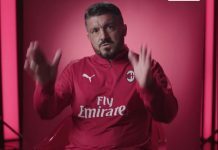 He was taking your team into Europe, and qualified Milan for her first Coppa Italia final in a decade – that’s a huge improvement from the season under Inzaghi; but you wilfully refused to see it in order to satisfy your egotistical urge to get rid of the one man who managed to get the entire dressing room behind him and put the fear of God in your overpaid, under talented, pompous squad. You first made a deal with a Thai businessman with no funds because you wanted to desperately keep the majority stake despite screwing the team up the past few years, that doesn’t seem like trying very hard to find a seller. 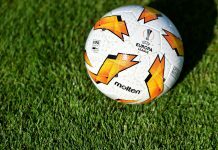 And the rest of Europe has left Serie A behind, for the simple fact that the league cannot compete monetarily anymore, so good luck to your pipe dream of finding the Italian investor who would compete with the Sheiks and the Chinese of this world. Milan is in the state it’s in because you yourself cannot compete financially anymore. 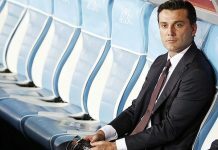 If you want Milan in good hands, then you would get it as far away from yours as quickly as possible, because even though you raised us up to the levels that we enjoyed for so long, you are now risking undoing everything you ever did by returning the club to the levels it was in before you took over. For the sake of your own legacy, sell. Not to any investor, but to ones you are convinced can take the team to the next level. That’s understandable, but imposing conditions of them having to be Italian means you are limiting choices, and frankly that makes it seem like you have no intention of selling. If you keep the team, but maintain everything as it is with Galliani having such a stranglehold on everything, and you making impetuous decisions to satisfy your ego, then the dark days are just beginning. You feel you love the club more than us, the fans, understandably so – but we grieve just as much, and Mr. Berlusconi, you are destroying the team you claim to love. In closing, sh*t or get off the pot, sir. 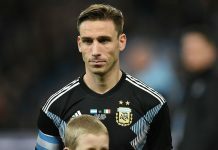 Either make the needed investments, as well as the needed changes at the executive level, getting a world class manager, a sporting director, rebuilding the team’s scouting network, and laying down a clear project – or sell to those who would do so, irrespective of nationality. 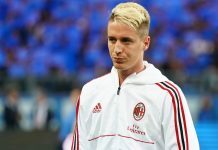 But keeping a hold of the team just for the sake of keeping Milan Italian, and maintaining the status quo, would see this team continue to plummet so hard that the prospect of European football in the near future would be as distant a dream as you having made a sensible decision anytime within the past four years. That’s my response to you sir! I hope it penetrates your thick, stubborn skull. Follow Okine Godwin Nii-Armah on Twitter at @moonbyte and on Facebook at Nii Smiley Byte. If you wish to have your thoughts posted on Rossoneri Blog’s Fan Zone as well, contact us. Bravo!! Braaavo! You said it all..
Nicely said… i hope it penetrates his thick and stubborn skull!! I doubt this reaches his head since his head is located below somewhere closer to his a**. Probably he is sitting on it now. Am really happy dis is coming from a Nigeria like me. U hav said it all. I hope it penetrates his thick and stubborn skull!! I really appreciate you there and I love what cuva sud are doing but they need to do more. it’s not until we have match before we demonstrate. if that idiot want Italian before he sell the club, go violent for till he sell it. Great that people are starting see just how sinile Berlusconi is! Just sell this club before you do us any more damage! How he can be so senile and stupid the same time, if he is so stubborn is there anyway to get true to him other than violence! 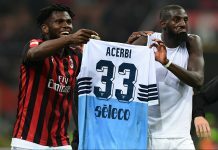 I DON”T THINK HE EVEN GET”S THE POIT OF THIS ARTICLE, BECAUSE NOW WE HAVE SEEN IT ALL AND HE DOES NOT LISTEN TO AC MILAN”S FANS ALL OVER THE WORLD! WE ARE LAUGHING STOCK OF THE FOOTBALL WORLD AND IT IS GOING TO CONTINIUE AS LONG WE HE SO SENILE PRESIDENT WHO DOESN”T DO ANYTHING WHILE FANS ARE SUFFERING ! Does Berlusconi read the Rossoblog?? I think this should be sent to gazzeta world and also forzaitalia football. Berlu is more than being senile! 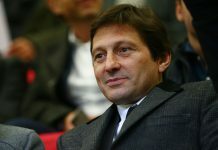 If you are a true AC Milan fan, do you want to team to be owned by an Italians, not by Far North. Do you know why there is a red cross on milan’s emblem? Comment:nicely spoken,you said it all. I hope it penetrates his thick and stubborn skull!! Well articulated…. 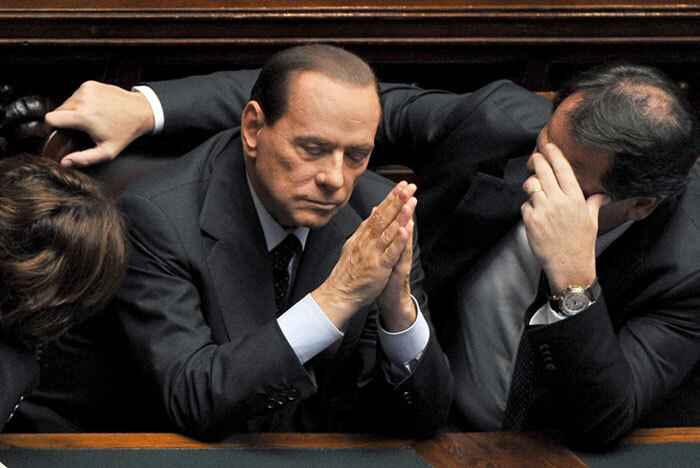 Berlusconi is killing Milan. Its time he sold the club. Enough of his BS. hmmmmm! i am speechless after reading this bomb letter. 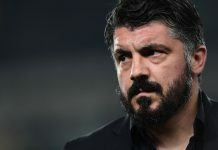 Bro, you said it all and that is exactly the problem of this darling team (Milan) but i wish Mr. Berlu and Galli go through it or someone interpret it to both of them to make proper correction or let it go to saver hands than watch it drench. Comment: Best article I’ve read in some time. Dude you couldn’t have put it any better. Berlusconi is killing the very thing he created.